Clarion West, in case you don’t know, is a six-week “boot camp for science fiction writers” held every summer in Seattle. Seventeen writers who’ve survived a rigorous selection process, but have never met before, live together in a dorm and do nothing but write and critique for six solid weeks. It’s a lot like a reality show, except that there are no cameras and no one ever gets voted off the island — you’re stuck together for the whole time. No one gets a lot of sleep, and the pressure is intense, but you’re all in it together. It’s a lot of fun and you can make friendships that last a lifetime. At least, that’s the way it is supposed to be. But it didn’t work out that way for me. Forced together under all that pressure, people can regress emotionally to high school or even middle school. Cliques form; best-friendships are made and broken rapidly; arguments can be intense; resentments simmer. That happened to me, in spades. And for a variety of reasons having to do with who I was at the time and what was going on in my life outside Clarion, I felt extremely isolated. It looked to me as though everyone else was making friends and having fun, while I was failing and failing creatively and ostracized from the group. (I realized much later that I did have friends, the failures were a necessary part of the learning process, and the isolation I felt had more to do with me than them, but that’s not what this post is about.) I cried almost every day, and the worst part of it was that this was supposed to be the best six weeks of my life — something I’d been hoping and dreaming about for years — and now it was ashes in my mouth. Stan Schmidt, longtime editor of Analog, always said that he was looking for science fiction stories in which the science and the fiction were given equal weight. The science part of my idea was this: sending people to other stars is hard, because people are heavy and require a lot of maintenance, so I would instead just send a few cells, recorded memories, and a very clever robot that would build a space station from local materials, clone up the crew from the cells, and load them up with their previous memories. The fiction part of the idea was that those freshly-cloned astronauts would be experienced adults, mentally, but their bodies would be young and hormonal and their relationships would be middle-schoolish — my main character would be a man who achieved his dream but had it turn out sour because his emotions were all in a roil. I attended Clarion West in 2001. I didn’t start writing the story until 2006, and when I did I threw everything I had into it. (In retrospect, I did everything I could to make it hard for myself to write. Maybe I didn’t really want to write it.) The main character, Chaz Eades, I made the opposite of myself — a religiously conservative black man whose faith put him on the outside of a diverse, liberal crew — but I demanded of myself that, despite a faith that I will never share, he had to be a fully-rounded human being, not a caricature or a villain, and that he would not let go of that faith. Then I threw issues at him to make his life hell: difficult ones of sexuality, gender, and race. This complex story grew as it was written, from a long short story to a novelette to a novella, but that was the length it needed to be to contain all of the ideas and emotions I’d put into it. I called it “Second Chance,” not only because it was a second chance for me to find some meaning in my Clarion West experience, but because it’s all about second chances. In fact, there are at least three significant second chances in the story, but you’ll have to read it to find out what they are. Novellas are hard to sell. There were only about four markets that would even consider a story that long, and none of them wanted it, but they each took a long time to say so — actually, one of them folded while I was waiting for a response. But, eventually, I found a small press that was producing an anthology of three novellas, and after considerable editorial feedback and numerous rewrites, they published it in 2010. But, despite good reviews, it didn’t sell well. 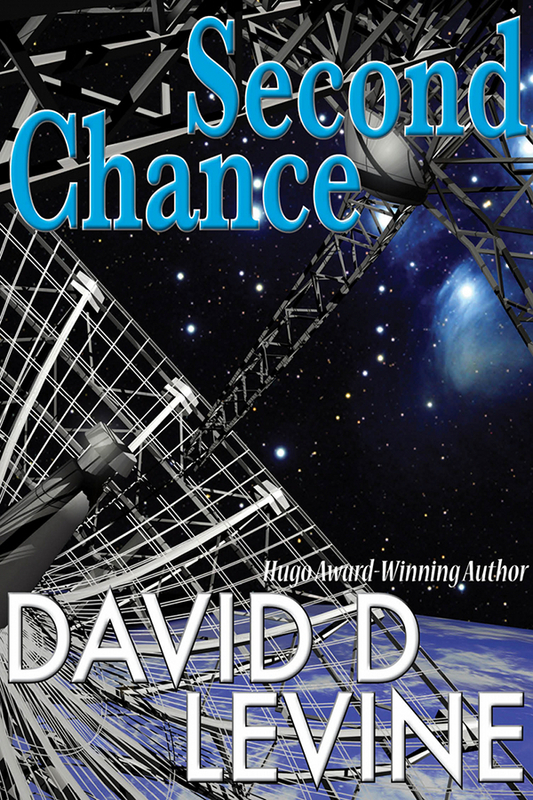 So, after joining Book View Café in 2012, I decided to publish Second Chance as a stand-alone ebook… to give this novella, so painful and so important to me, a second chance at an audience. But the second chances don’t stop there. I tackled some tough issues of race, religion, sexuality, and gender in this story, and in general my treatment of these issues seems to have been well-received. But I got some negative feedback on the transgender character, and upon reflection I realized it was deserved. So when I set out to make the ebook, I ran the story past a transgender friend. She concurred with the issues I’d known about, and also pointed out some others I hadn’t known about, some of which were are deeply baked into the story. I did what I could to address those issues, and I think the story is improved by the changes, but I recognize that even this revised edition isn’t perfect. I’ll try to do better next time. So, anyway, here it is: the novella “Second Chance” is now the ebook Second Chance, and you can buy it from the Book View Café, Kindle, Nook, Kobo, and Apple ebook stores. If you’d like to try before you buy, you can download a free sample in EPUB or MOBI format. Go on. Give it a chance. And then I was falling. I gasped and jerked spasmodically. But a foul sticky fluid filled my mouth and nose, and my arms and legs met resistance — something hard and cold encased me on all sides. Coughing, choking, retching, I pounded my fists against the smooth unyielding surface. I couldn’t see a thing. Oh Lord Jesus, I prayed, let me wake from this nightmare. But no dream had ever gripped me with such visceral intensity — trapped, blind, suffocating, tumbling headlong from some unknown height and moments from smashing against the ground — for so long. Still coughing, I brought my knees up to my chest and shoved my feet against the encasing walls, but my legs felt wrong… frail and thin and weak. Then the lid sprang open of its own accord, sending me tumbling out into the bright chill air. Blinded by the sudden light, barely able to force my eyes open against the coughing spasms that wracked my chest, I thrashed desperately to catch myself on something, anything. But I was not falling. My gut and my ears told me I was plummeting uncontrollably through space. My eyes told me I was drifting away, gently rotating, from a man-sized lozenge of white plastic — a vivification capsule. It lay open like a clam. The inner surface glistened with a gray, viscous fluid. A moment later I bumped into a stack of boxes bungee’d to the far wall of the room. The capsule was fastened to the wall of a small pie-wedge-shaped room. It was one of seven such capsules; the others were dry and empty. Most of the rest of the space was filled with bundles of clothing, boxes, and canisters. I knew this room — or a training version of it. But the version I’d known had not been crammed with unused equipment, and I had never experienced it without gravity.